Does CSR have a Place in our Crowdfunded World? It’s safe to say that crowdfunding is now one of the most effective mechanisms for raising money quickly, whether it be for a social cause, a startup business or even potato salad. It’s one of the best ways to share your ideas and receive monetary contributions towards your project. I was recently at a fundraising luncheon, hosted by AFP, that focused on the benefits of implementing crowdfunding. Ryan Davies, Director of Advancement Communications from Carleton University, gave a speech titled, Kickstarting a Culture of Philanthropy: How Crowdfunding Reimagined Carleton’s Relationship with Fundraising. He spoke about the successes his university had experienced as a result of creating an in-house crowdfunding platform. Before launching this groundbreaking initiative, they had relied on traditional fundraising channels and were experiencing low engagement levels and less-than-adequate acquisition rates. Though Carleton was one of the first universities to launch a crowdfunding initiative, the risk definitely paid off. Entering new territory, Carleton University soon realized that crowdfunding was a great tool for creating new opportunities that strengthened engagement channels with alumni, current students, staff and the broader public. This has resulted in more involvement, more donations and more publicity. All of this had me wondering, can crowdfunding be used to further CSR efforts? I believe the answer to this question is yes. A big yes. For instance, corporate foundations can launch their own crowdfunding projects to gain more supporters, strengthen employee engagement, scale positive impact and generate publicity. 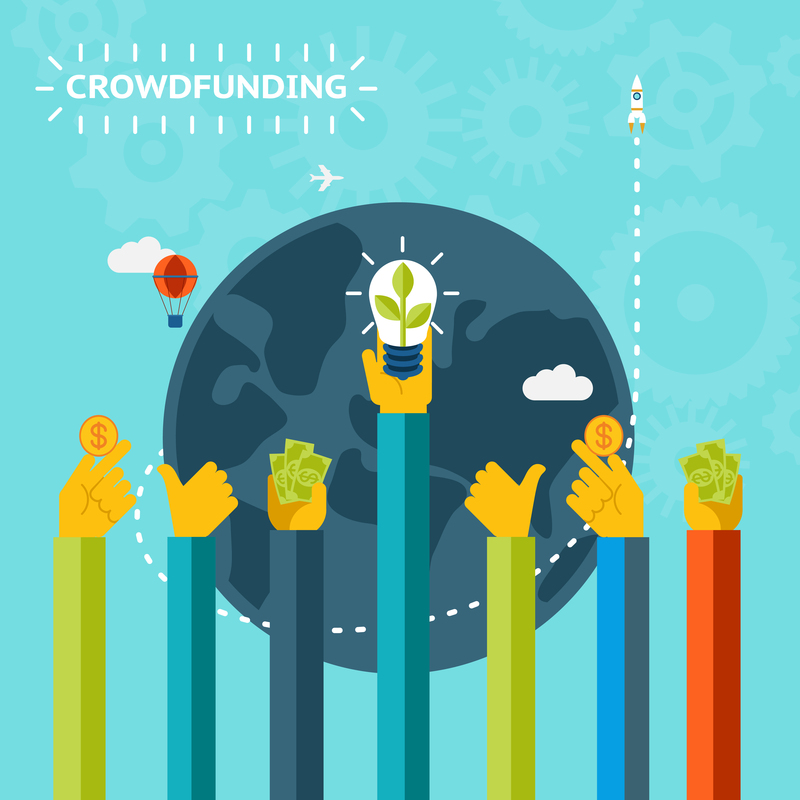 Typically, crowdfunding allows for a stronger two-way stream of communications. Digital in nature, crowdfunding is often accompanied by great social media exposure and attention (if of course, the project resonates with stakeholders). Crowdfunding projects even have the potential of going viral. Apart from going the obvious route and launching a corporate crowdfunding project, many companies have begun to experiment with crowdfunding from a different angle. Take for instance Domino’s. Instead of launching their own crowdfunding project, they decided instead to support third-party initiatives, offering perks on projects they felt passionate about. Crowdfunded projects often promote and provide non-monetary perks at varying levels of giving. In this case, Domino’s provided gift cards to supporters in exchange for certain contribution amounts. They’ve now since formed a strong partnership with Indiegogo, one of the most popular crowdfunding platforms around. This is a win-win strategy for Domino’s. Not only are they able to support projects they care about in a unique and interesting way, but they’re also able to get a huge amount of (almost) free publicity from their participation in these projects. This not only helps enhance brand loyalty, but hopefully, also inspires other companies to get involved in similar initiatives. FlipGive, a B Corporation, takes this one step further. An online giving and crowdfunding platform, FlipGive provides a marketplace for people to purchase gift cards and make a difference. Companies, passionate about positive impact, provide gift cards at discount. In turn, online shoppers and supporters purchase gift cards at face value, with the discounted difference going to meaningful projects profiled on the website. In sum, projects get funded, companies gain great exposure and supporters get gift cards to their favourite retailers and restaurants. So the next time your company is thinking about fundraising in the workplace and you’re looking for something digital, unique and potentially viral, think about utilizing crowdfunding to scale your positive impact efforts. If you’ve enjoyed this post, consider following the blog for more just like it and follow me on Twitter @CSRtist for content relating to CSR, social impact and corporate philanthropy. Be sure to also share your experiences with CSR and crowdfunding in the comments section below!